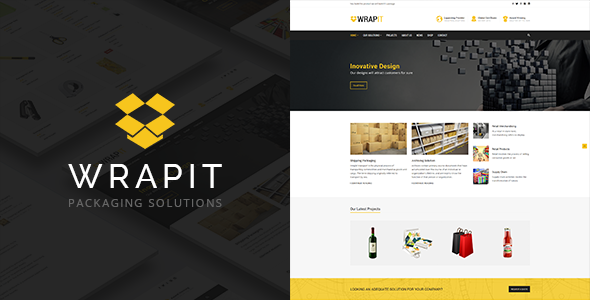 WrapIt is a modern and complete WordPress theme for all packaging companies available out there. With itâ€™s precise design and thorough research we have added all the functionalities that company would need. All of this is done coding exactly what theme needs avoiding bloated code. Since first impression is very much important, rest assured that customers will contact you further, once they land on your site and see your professional design.